Mr Havercamp provided owner/breeder Sean Fitzhenry with a graded stakes victory for his birthday on Saturday as the four-year-old Court Vision gelding took the $175,000 Play the King Stakes (Grade 2) over seven furlongs on Woodbine's E.P. Taylor Turf Course. Sent postward as the 4-5 favourite, Mr Havercamp navigated a yielding turf and came through between horses late to score the victory under the guidance of Woodbine's meet-leading jockey Eurico Rosa Da Silva. “I knew he had a ton of horse and I just hoped he would get through. I felt he would get through and luckily, he did,” said trainer Catherine Day Phillips, who was pleased to see Mr Havercamp handle the unfamiliar track conditions resulting from Saturday's rain showers. 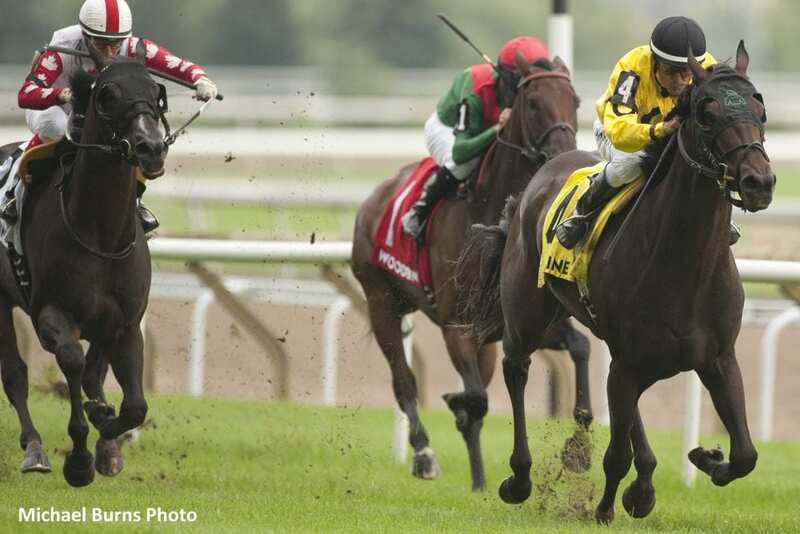 Owned by Sean and Dorothy Fitzhenry, Mr Havercamp boasts a perfect four-for-four record racing on Woodbine's turf course. The multiple stakes champion, who was back on home turf after a fourth-place finish in the Forbidden Apple Stakes at Belmont Park, has now won six of his nine starts overall for more than $350,000 in purse earnings. This entry was posted in Racing and tagged catherine day phillips, court vision, e.p. taylor turf course, eurico rosa da silva, mr havercamp, Play the King Stakes, Sean Fitzhenry, woodbine by Woodbine Communications Office. Bookmark the permalink.